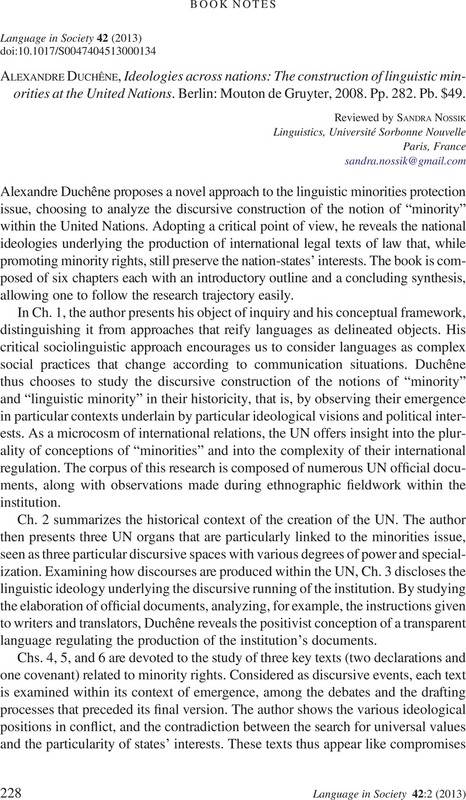 Alexandre Duchêne, Ideologies across nations: The construction of linguistic minorities at the United Nations. Berlin: Mouton de Gruyter, 2008. Pp. 282. Pb. $49.